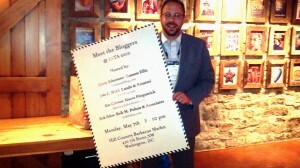 What a great evening it was at Meet the Bloggers VIII at the International Trademark Association’s annual meeting in DC! And by now, we should know. The space was perfect — accessible, attractive, spacious but not too much with the spacious, and no blasting music. We’re lawyers, you know? We like words. 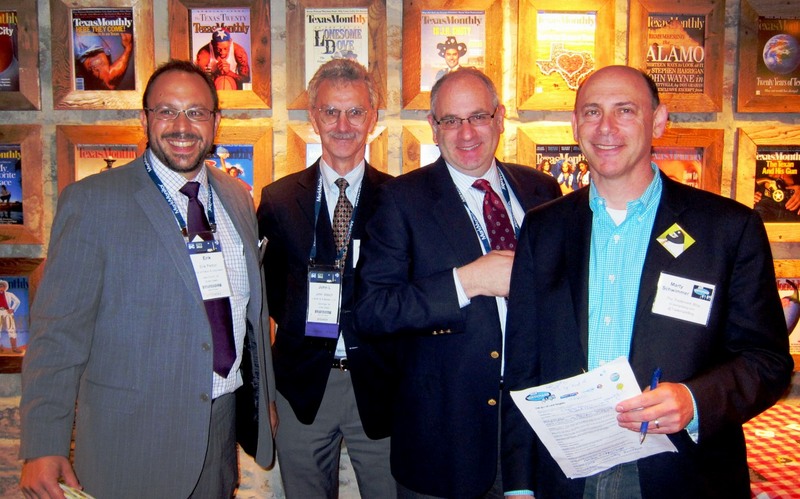 The crowd was charming, diverse, sophisticated, and had excellent taste in INTA events. Some, like Peter Groves, came bearing A Dictionary of Intellectual Property Law — about which more anon. I saw other old friends and made all kinds of interesting new ones, notably an intrepid trio from the University of Akron Law School who renewed my faith in humanity. Well, okay, they’re nice kids and came in a wide variety of heights, anyway. In Erik Pelton, however, all faith. This was his baby and he gets all the credit in the world for making it all happen just so. And you know, on second thought — he does renew my faith in humanity! Thanks to everyone who came and hung out with us, and for other my fellow sponsors — Welch, Schwimmer and his Leason Ellis people — for letting me play. For me, Meet the Bloggers is the two hours at INTA each year when — well, never mind. For a change, I’ll keep it to myself. After all, now that humanity and I are tight… why ruin it before I even get to tomorrow morning’s sessions? 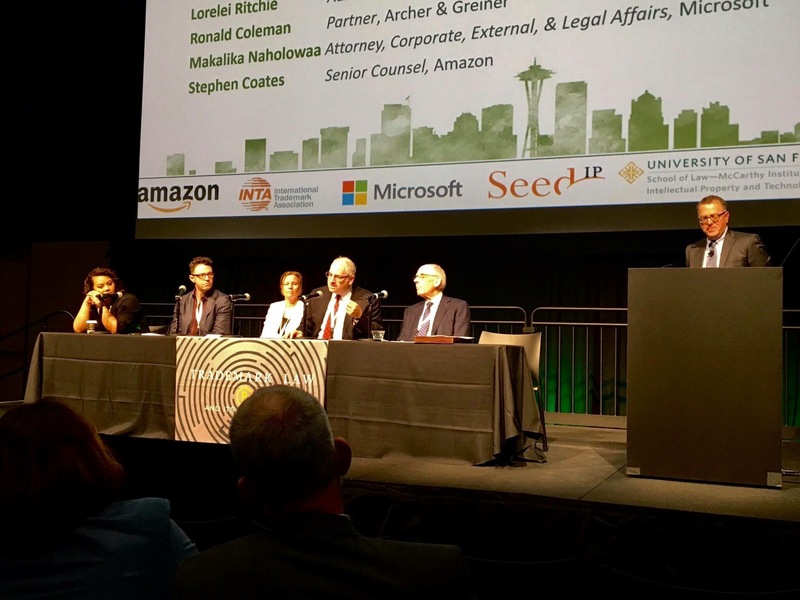 We also had a great time…thanks for hosting! I can’t wait for next year, despite the fact that it will require significantly more travel than driving across the Potomac. Yes, but driving over dry land has its advantages, no?